Jlab Export is a leading Civil Engineering lab equipments manufacturer, suppliers and exporters from Republic of India that provides wide selection of applied science laboratory equipments at the most competitive costs. These research lab equipments square measure factory-made in compliance with the international quality standards. Jlab Export uses top quality tested elements and superior raw materials procured from trusty merchants for the assembly method. we have a tendency to customise our applied science research lab equipments in line with the clients precise specifications. We square measure manufacturer and provider of all kinds of applied science equipments for scientific instrumentation business, university and analysis labs, science faculties, schools, engineering faculties and varied industries. 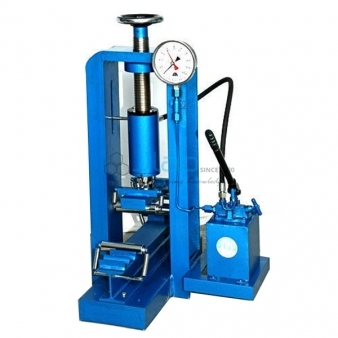 Some of the applied science research lab equipments square measure Survey Instruments, Cement and Concrete Testing Equipments, Structural Engineering research lab Instruments, Masonry Workshop Tools, Plumbing Workshop Instruments, trade Workshop Equipments, Workshop Machinery etc. Jlab is one of the best company for the Civil Engineering Lab Equipments Suppliers, Civil Engineering Lab Equipments Manufacturer, Civil Engineering Lab Equipments Exporters, Civil Engineering Lab Equipments india .